The used car market continued to benefit in the wake of last September’s WLTP introduction on new cars in Q4 2018 with both average prices of diesel and petrol vehicles reaching a record high while overall fleet values performed well. The data from Aston Barclay shows that the new car shortages caused by the switch to WLTP helped drive used car activity, culminating in average prices for diesel and petrol vehicles reaching a high of £8,818 and £4,651 respectively during Q4, a rise of £67 and £326 respectively over Q3. As well as helping to drive diesel and petrol prices, WLTP also helped the market through a move to contract extensions within the leasing sector which restricted the supply of ex-fleet cars coming back into the used market. Fleet prices increased from £9,960 in Q3 to £10,009 in Q4 and rose by 6.5% (£613) from Q4 2017. 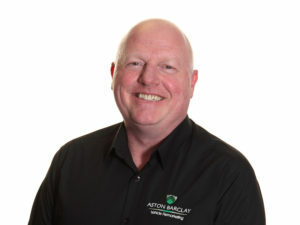 Commenting on the report findings, Martin Potter, group managing director, Aston Barclay, said: “Q4 saw the impact of September’s WLTP introduction continue to rumble on within the used vehicle sector, with restricted supply and increased demand resulting in price increases across all sectors except for late and low cars. Potter continued: “The coming 12 months look positive for the used vehicle market yet will undoubtedly bring challenges too – the obvious one being how Brexit ultimately plays out.